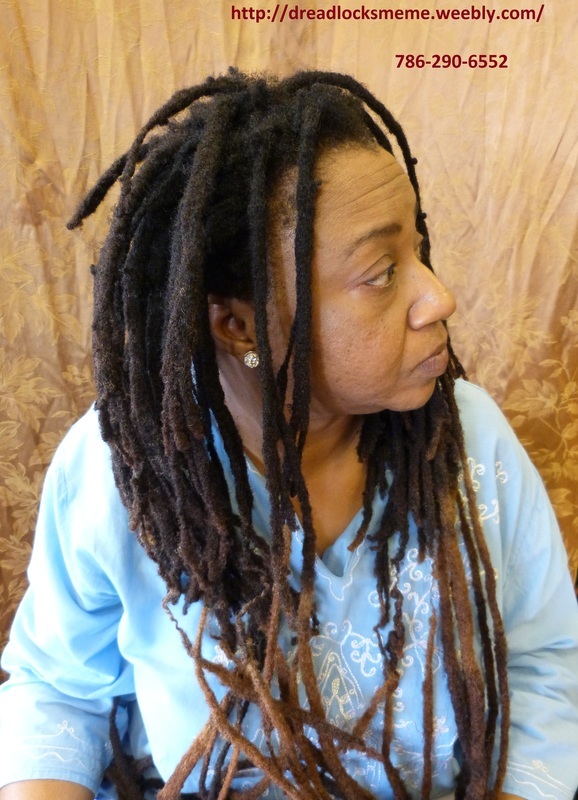 Dreadlocks -- Deep Repair & Re-attachments. 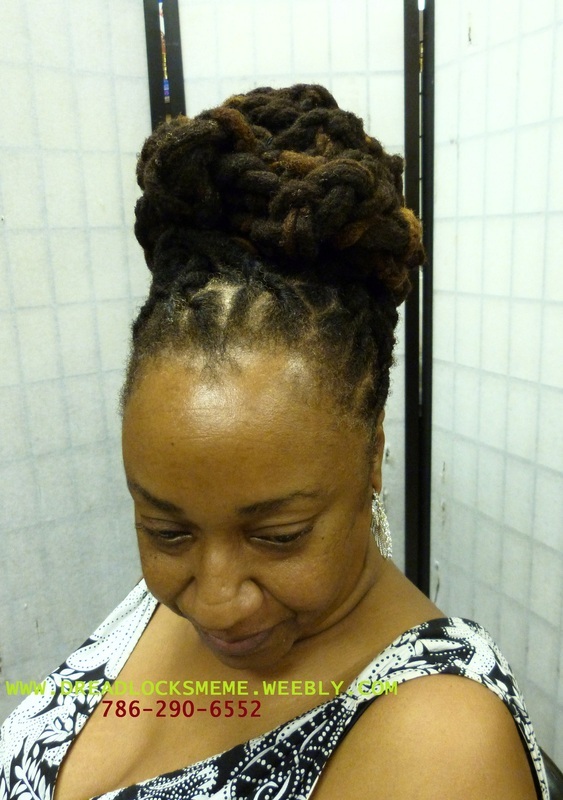 24 YEARS OLD AWESOME LOCS... 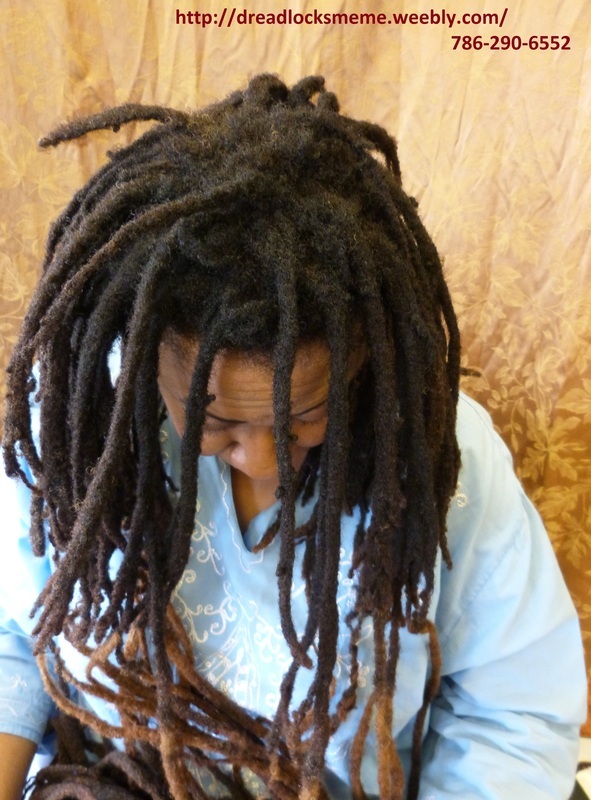 THESE LOCS SHE IS HOLDING IN HER HAND, IS DUE TO BLEACHING OF HER LOCS. 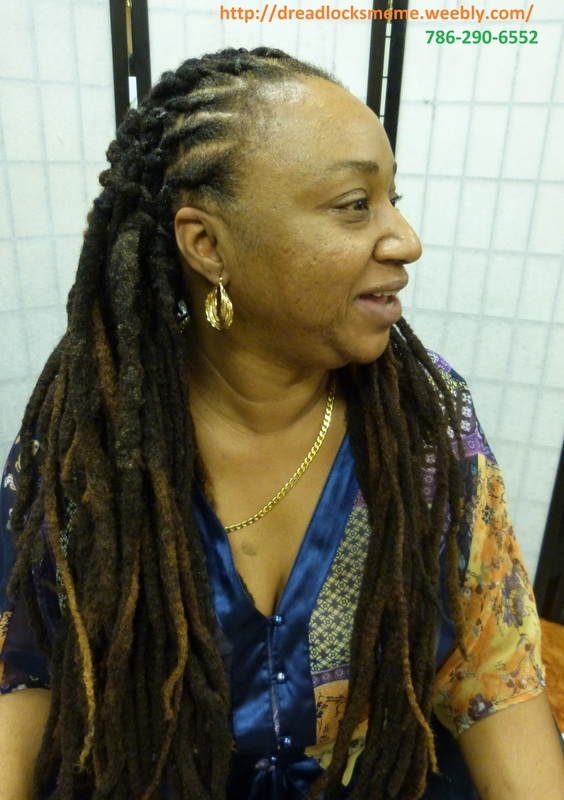 THE BLEACH DAMAGED HER BEAUTIFUL LOCS. 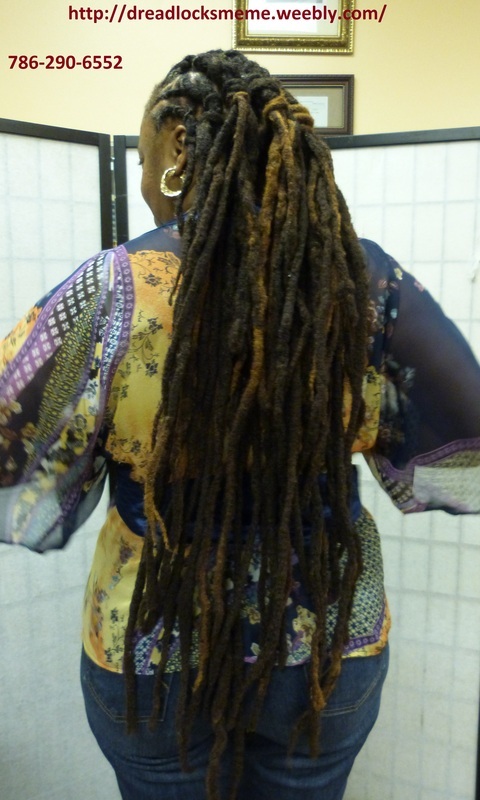 THIS PICTURE IS TO SHOW HOW HER LOCS USED TO LOOK LIKE AND BEFORE THEY ARE FIX. 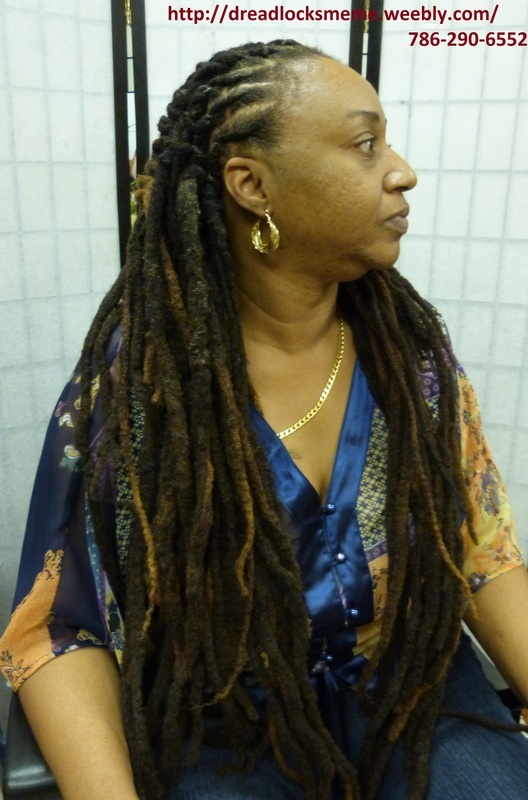 AFTER LOCS IS FIXED, WASHED AND STYLED...... 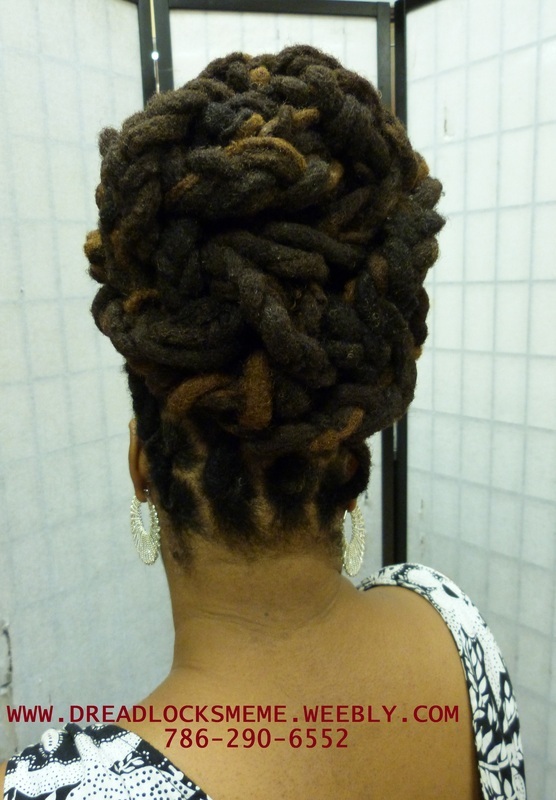 THE BEAUTY OF COURSE HAIR TEXTURE... ""WOW""
This Styled was Created on October 14, 2012. 3. 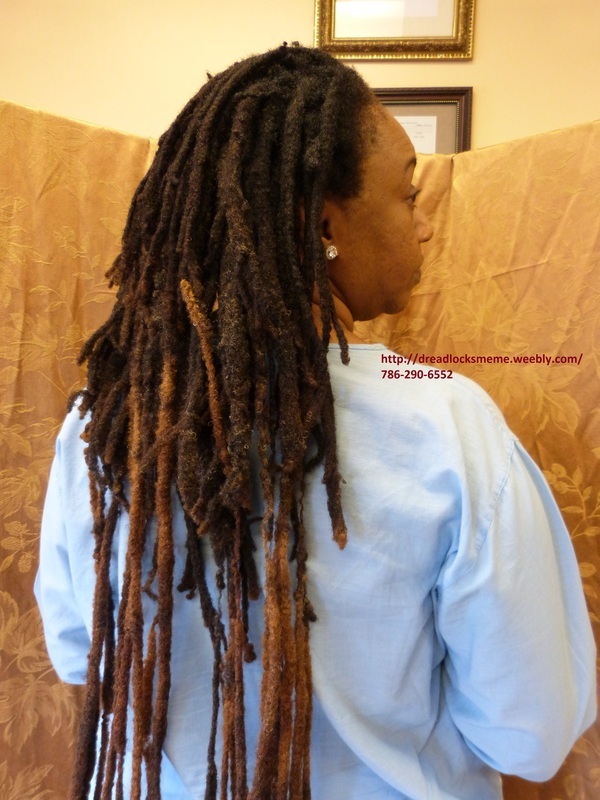 Dry -----------------------------------------------your all client's Locs thoroughly. 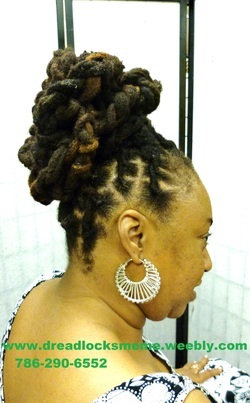 10 more Steps to accomplished this type of locs Procedure. client can pay in 2 sessions. Price, start from $600. & Up. A consultation is Required before this type of services. 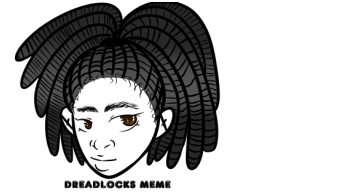 A charge of $27.00 for Consultation is apply and if client accept the dreadlocks services the consultation fee will be deducted. 1. 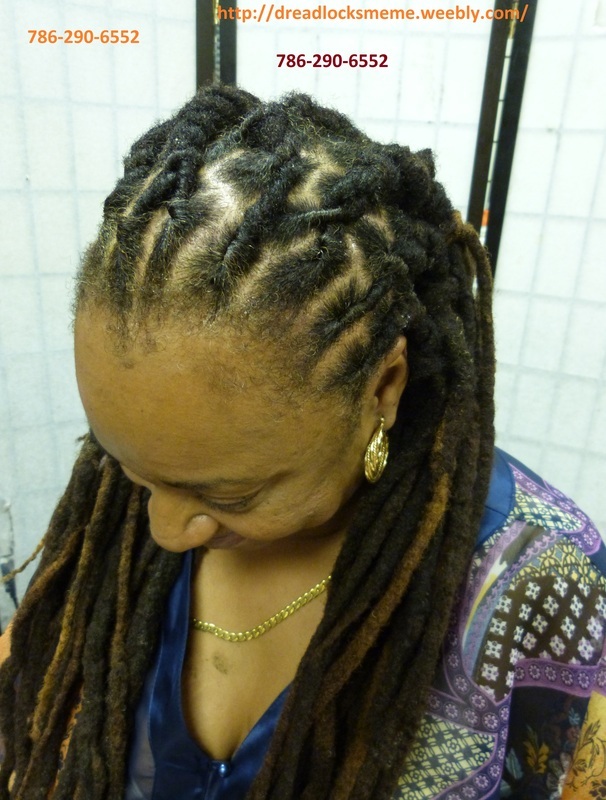 To Examine the condition of the Client's Scalp & Locs. 2. To Provide the correct Price for the servies that will be provided. 1. Washing the scalp and the dreadlocks thoroughly. 2. Repairing the roots, if needs to be repaired. Call the hair salon at 786-290-6552 or Submit your information.